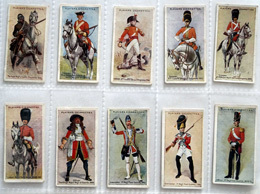 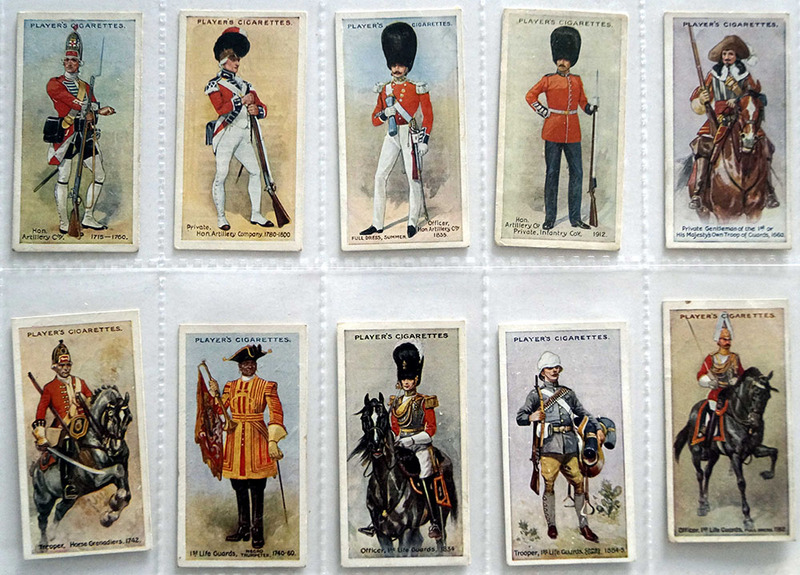 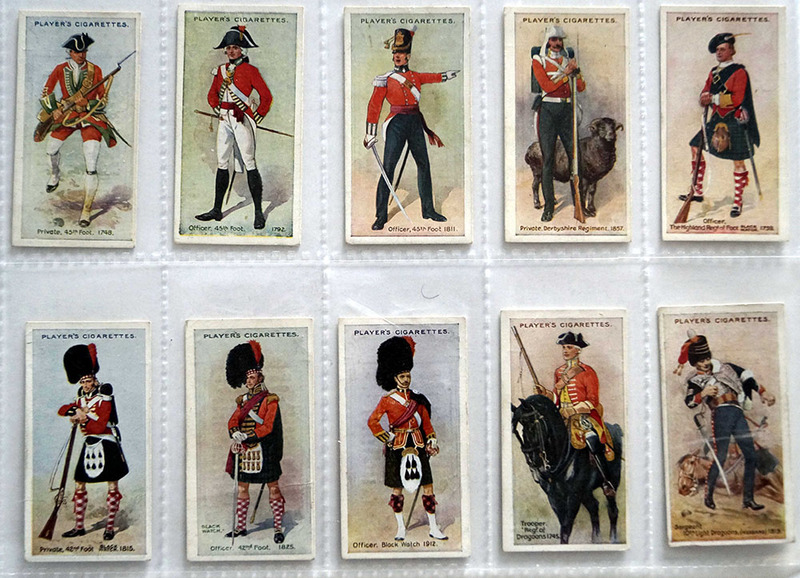 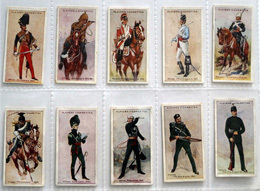 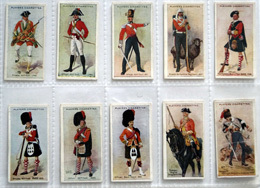 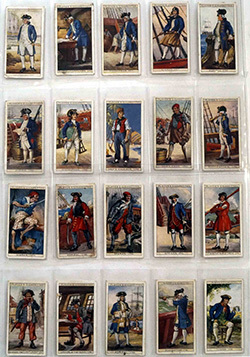 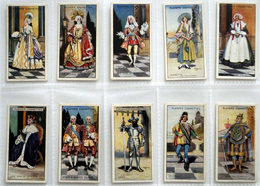 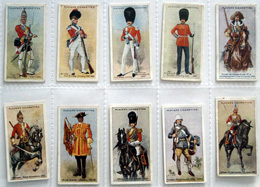 A complete set of 50 cards in very fine and better condition. 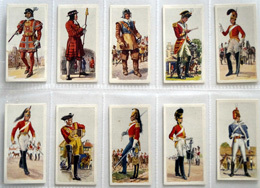 Excellent artwork. 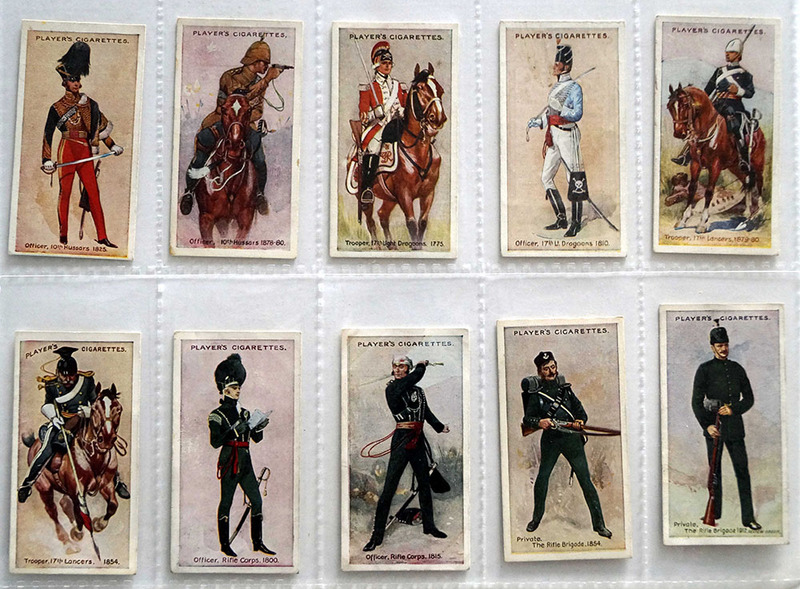 Each card also has a text description on reverse. 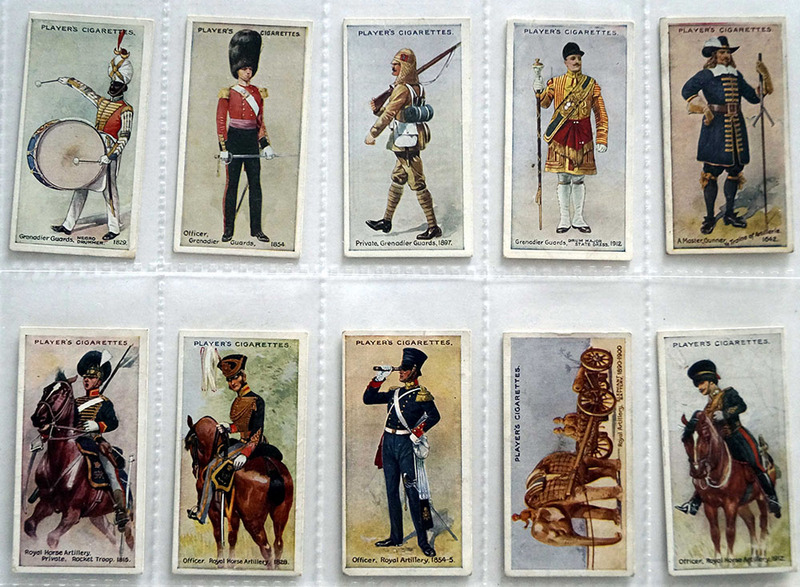 Includes Grenadier Guards, 10th Hussars, 17th Lancers, The Rifle Brigade, Sherwood Foresters, Black watch, Life Guards, Royal Artillery, etc.